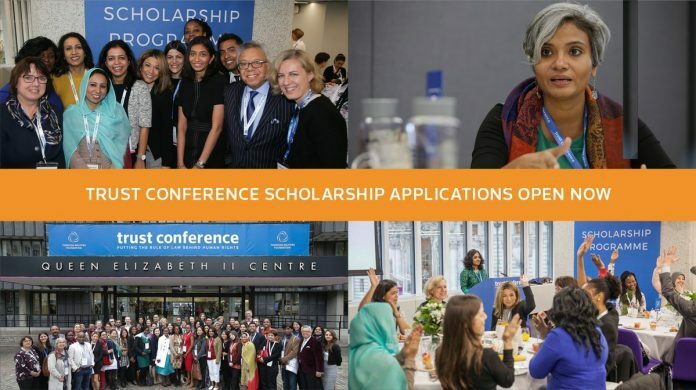 The Trust Conference Changemakers Program, previously called the Scholarship Program, becomes part of the Trust Conference, hosted by the Thomson Reuters Structure from November 13-14, 2019 in London, UK. The Trust Conference Changemakers Program funds frontline activists and human rights protectors from all over the world to participate in the yearly conference. In 2018, we got applications from 90 nations and picked Changemakers with specialist understanding of our conference styles. This year, Trust will award as much as 60 scholarships to candidates from varied disciplines who will bring their special point of views and do something about it at Trust Conference. The Trust Conference Changemakers Program provides access to a prominent event of NGOs, heads of corporations, legal representatives, public servants and benefactors. The Trust Conference Changemakers Program is open to all candidates operating in the locations of contemporary slavery, females’s rights, financial empowerment, refugee assistance and other human rights locations. Concern will be offered to candidates from establishing nations who show that involvement in the Trust Conference will improve their operate in their own neighborhoods. A possible monetary bursary to support travel and lodging expenses (as much as ₤ 1,250). Their name and picture in Trust Conference marketing products and on the main site.